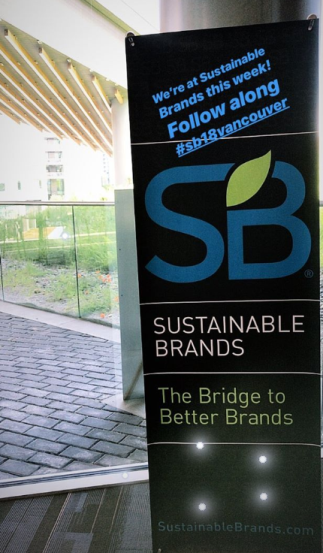 In early June, RF|Binder headed off to Vancouver to join more than 2,000 professionals at the annual Sustainable Brands conference. Also in attendance with me, was the leader of our impact practice RFB|Siren, Annie Longsworth. Annie has been a constant staple at the conference since its beginning and has really solidified her position as a top thought leader in the space of social and environmental sustainability communications and strategy. 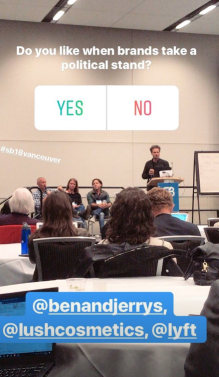 This year, in addition to integrating new members in the SB life, Annie led a panel with Jackson Family Wines*, Caesars Entertainment* and Net Impact which focused on how brands can best collaborate with millennials to shape the future. 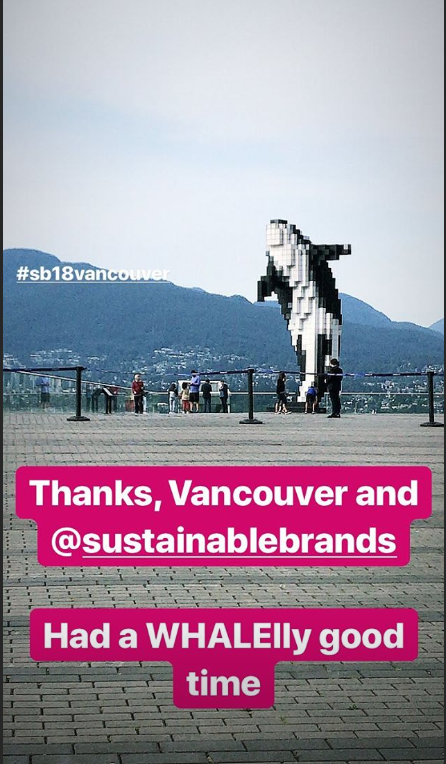 The four-day conference was themed “Redesigning the Good Life,” and Vancouver proved to be the perfect background. As we took inventory of the city, it was remarkable to see how the steel of metal buildings was often offset by peeks of greenery and back dropped by snowcapped mountains. With walking paths, shared bikes and a general serene atmosphere, it seemed as if the city didn’t need to “redesign” the good life; it is well on its way to achieving it. That tranquil backdrop proved to be the perfect motivation for our week long discussions around helping brands come together to reach for a higher purpose and to solve, rather than aid, societal and environmental challenges. Brands are looking externally to drive sustainable practices—more specifically, to influence consumers’ behavior through thoughtful product design. For instance, Tide’s Coldwater Clean Detergent is designed specifically for washing clothes on the cold cycle, a practice that uses significantly less energy, and its subsequent consumer call-to-action, #QuickColdPledge challenge asks consumers to wash clothes on the quick and cold cycle for a year, regardless of detergent. More than that, Tide tied this challenge to a tangible benefit to consumers: if you wash your clothes on the cold cycle for a year, you can save enough energy to charge your smart phone for a lifetime. Similarly crafted to drive smart, eco-friendly consumer habits, Nest’s Thermostat is automatically preset to turn down the heat or cold air when a person is not in the house. More and more, businesses recognize impact goals must be intrinsically linked to business goals. One inspiring example is Target. Jennifer Silberman, Vice President of Corporate Responsibility, shared how the company sought to define its purpose in a way that better positioned it for growth with its customer base. Target’s new purpose, “Expect more. Pay Less,” became not only its CSR strategy, but the “North Star” guiding light that would anchor all future decisions for the company. That meant Target could “democratize sustainability” — giving customers access to products that are better for them and better for the planet without breaking the bank. With this strategy, Target managed to tap into consumer demands, while remaining authentic to the company’s heritage. In turn, the company will benefit from its purpose at the bottom line, by using it to drive a seamless decision-making process about what products and services make sense for stores. Lyft’s Mike Masserman also shared that while the company was similarly built on strong values and social purpose, many didn’t associate the company in such a way. That changed with the Muslim Travel Ban, which Lyft denounced, pledging $1 million to the American Civil Liberties Union. While Masserman lamented that Lyft “braced for pain,” the after effect was a surge in new brand fans, a rise above Uber for the first time in the Apple store, and an elevated external brand position to leverage in the future.